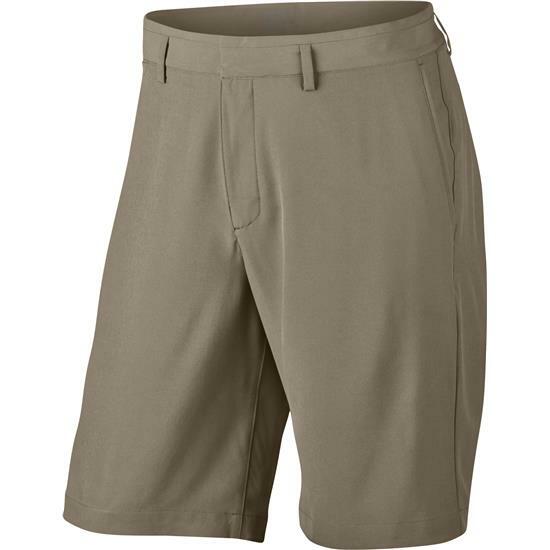 Men's Nike Golf Shorts are made with soft, stretchy fabric that's powered by Dri-FIT technology to help you stay dry and comfortable on and off the course. Th fit is relaxed through the legs and hips so you can move without restriction. Twill fabric features 4-way stretch to allow natural range of motion. You are about to post a review for Nike Men's Flat Front Woven Short based on your knowledge of its playability. This review will show up under all variations of Nike Men's Flat Front Woven Short, including new, personalized, and custom logo.